Many people with lung cancer experience shortness of breath. Treatments like supplemental oxygen, and medications are available to help you feel more comfortable, but they aren't always enough. Something as simple as focusing on your breathing can make a huge difference. 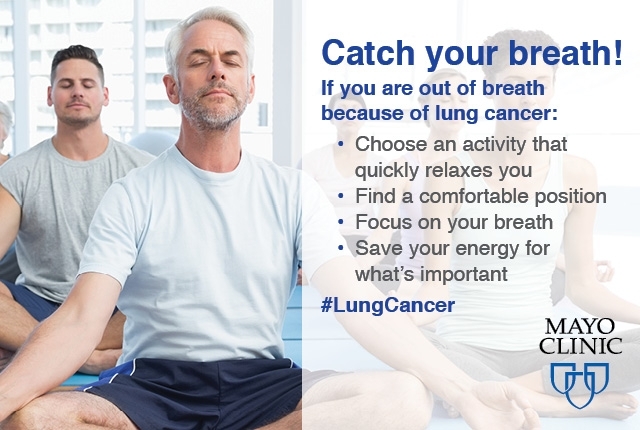 Many people with lung cancer experience shortness of breath.